Two brick walls and a well were uncovered during archaeological works in Chapel Lane, Rugby. The features are believed to be late 18th/early 19th century in date. Undated wall 1 An undated handmade brick wall was uncovered during a watching brief on ground works for a rear extension. Structural relationships indicate that the wall is pre-19th century. An undated handmade brick wall was uncovered during archaeological works in Chapel Lane Rugby. Structural relationships on site indicate that the wall is pre-19th century. 1 The site of a barrow marked on the OS map of 1887. The site of a tumulus or barrow which was marked on an Ordnance Survey map of 1887. It was in the area of Vicarage Road in Rugby. 1 The route of a contour canal shown on the Ordnance Suvey map of 1886. 2 Earthworks of the canal are visible on an aerial photograph. The route of a contour canal shown on the Ordnance Survey map of 1887, and on an aerial photograph. It follows the land contours, dates from the Imperial period and is situated west of Newbold on Avon. The site of a light anti aircraft emplacement from the Second World War identified from documentary evidence. Its purpose was to protect the Lodge Plug Works at Rugby. It was located 200m west of the Clifton Road Cemetery. A lighting bombing decoy site from the Second World War, designed to confuse the enemy into dropping their bombs in the wrong place. Documentary evidence places it 1km northwest of Barby. 1 The site of a sheepwash identified from the digital mapping. The site of a sheepwash identified from an Ordnance Survey map. 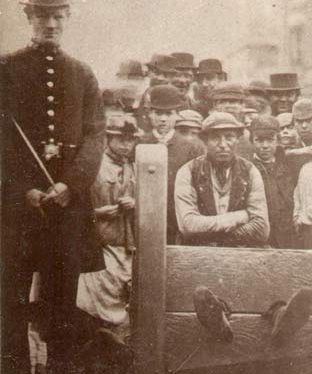 It was located southwest of Rokeby Court, Rugby. Findspot - a single Roman coin was found in the area of Brownsover. The Church of St Andrew was built in the Medieval period. It was later largely rebuilt during the Imperial period. It is located onChurch Street, Rugby. The possible site of a Medieval manor house or castle. Documentary evidence suggests that earthworks of a moat were visible behind Church Street, Rugby in the 18th and 19th centuries. The site has now been built over. The Church of St Michael and All Angels which was originally built during the Medieval period. The church was largely restored during the Imperial period. It is situated 200m south east of Brownsover Hall. The site of a Medieval moat, a wide ditch usually surrounding a building. It is no longer visible as an earthwork. It was situated 150m southeast of the Market Place, Rugby. A cinerary or cremation urn dating to the Roman period. The burial site was located 200m south east of Brownsover Hall. Findspot - a Roman bronze ring was found near Coronation Street, Rugby. Findspot - a small bronze hammer of unknown date was found in the area of Coronation Street, Rugby. Findspot - a stone axe dating to the Neolithic or Bronze Age period was found in the area of Lower Hillmorton. The site of a well from which Medieval pottery sherds were recovered. The well was situated in the area of the High Street, Rugby. Mill Bridge, a road bridge that was built during the Imperial period. It is situated on Newbold Road, Rugby. 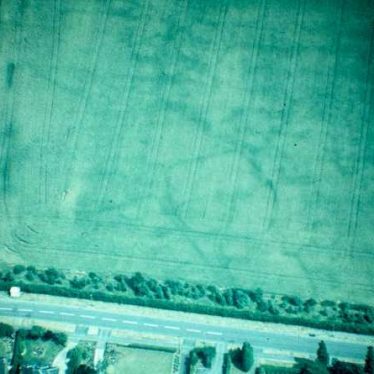 2 Probable Neolithic/Bronze Age ring ditch shows on aerial photographs. 3 Included in gazetteer. The site of a ring ditch dating to the Neolithic or Bronze Age date. It is visible as a cropmark on aerial photographs. The ring ditch is located 500m north east of Thurnmill Spinney. The site of a complex of enclosures. They are visible as cropmarks on aerial photographs. Undated ditches were observed during pipeline works across the cropmarks. The enclosures are located to the east of Townsend Road, Rugby.